“I am delighted to be collaborating with the HLA in this new capacity,” says McQueen, who has co-led the HLA’s Emerging Health Leaders (EHL) program for the past three years. Greg McQueen, an accomplished leadership and organizational development executive, will join the Health Leadership Academy (HLA) as Acting Co-Director. His part-time, interim position will run from Apr. 1 to Nov. 1, 2019. The DeGroote School of Business and McMaster’s Faculty of Health Sciences jointly oversee the HLA, which is based at the Ron Joyce Centre in Burlington. The HLA strives to attain transformative impact on global healthcare by nurturing a community of future leaders. 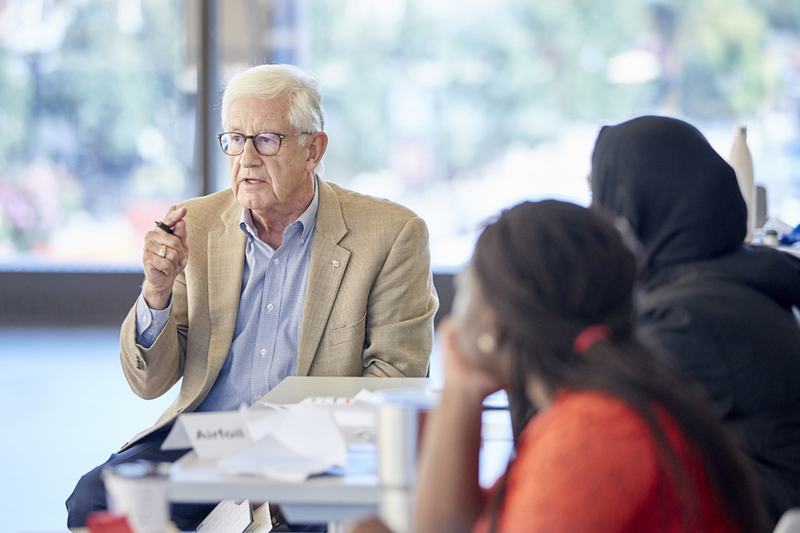 McQueen, with John Rankin, has co-led the HLA’s Emerging Health Leaders (EHL) program for the past three years, playing an instrumental role in developing the flagship program. McQueen has also provided senior leadership at several medical schools and health science centres across North America. As the Senior VP for Academic Affairs at the University of North Texas Health Science Center, he helped to expand the medical school and co-led the development of the School of Public Health, the Pharmacy Program, and the Physician Assistant Program. In Ontario, he worked with the founding Dean of the Northern Ontario School of Medicine to prepare the initial senior leadership team. Michael Hartmann, Co-Director of the HLA and Professor of Human Resource Management at DeGroote, says McQueen’s unique perspective will enhance the HLA’s various activities, including EHL and the Physician Fellowship Program. The latter involves a partnership with DeGroote’s Executive MBA in Digital Transformation (EMBA), of which Hartmann is Director. With his extensive experience in health care, higher education and leadership, McQueen is an ideal leader to represent the broader interests of McMaster’s Faculty of Health Sciences and Medical School within the HLA. Fittingly, McQueen will kick off his appointment by participating in a panel discussion hosted by the HLA on Apr. 29. The panel serves as a launch date for the HLA’s signature research on the driving forces shaping the future of health care and the leadership capabilities required to navigate these forces. Backed by an extensive literature review and a McMaster Health Forum stakeholder dialogue, this event promises to be a timely discussion on how we can best prepare tomorrow’s health leaders today.